According to a recent study, around 80% of the young people who have ASD also have difficulty falling or staying asleep at night. (Source: WebMD). The rate of sleep problems and disorders in adults with ASD is also high. This lack of sleep can intensify some of the behavioral symptoms of ASD such as aggression, hyperactivity and lack of concentration. As a result, ASD patients who struggle with sleeping may have a hard time at work or in the classroom. 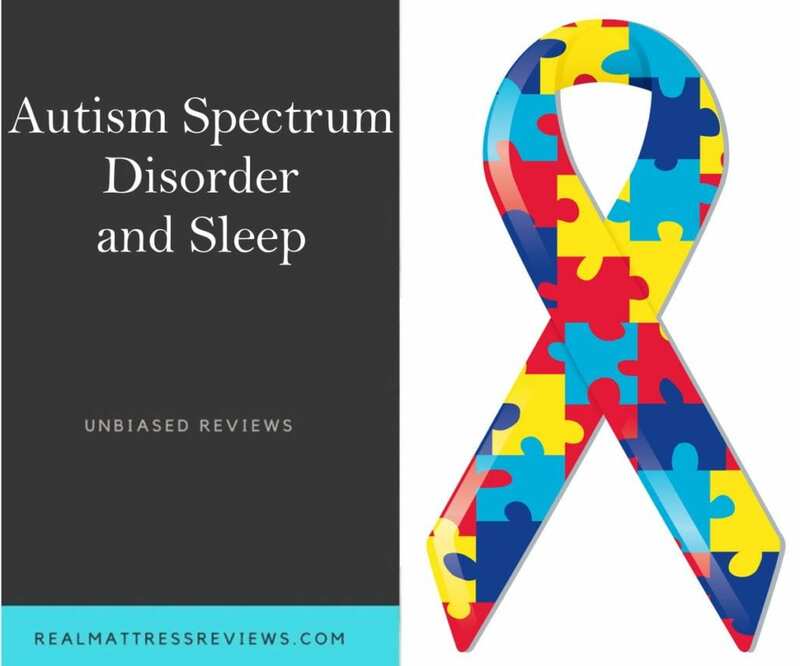 This article will discuss the relationship of ASD with sleep and what you can do to help ASD related sleeping disorders. Autism Spectrum Disorder or simply Autism refers to a wide range of different conditions that are characterized by challenges with repetitive behaviors, social skills, speech and nonverbal communication. This means that there is not one condition that can be called Autism, it applies to a broad range of conditions. Mental Health Disorders: Conditions like depression and anxiety often come with ASD, these conditions often cause insomnia and other sleep disorders. Furthermore, ASD can also show symptoms of ADHD that can further cause elevated moods near bedtime. Medical Issues: ASD often exhibits symptoms of epilepsy, and seizures can heavily impact sleep even on a regular basis in some severe cases. Side Effects of Medicines: ASD patients take some medications that may have some side effects involving sleep problems. Antipsychotic medications like risperidone and haloperidol may cause excessive drowsiness during day time that may disturb the sleeping schedule. Irregular Circadian Rhythm: It is a 24-hour biological clock that regulates the sleep and wake cycle in humans. This Circadian Rhythm is processed by the brain so many people with ASD may have irregularities with their sleep-wake cycle. Develop a visual schedule checklist containing objects, pictures and different visual aids to help the child with ASD understand the concepts of sleeping schedule easily. Keep the bedtime routine like brushing, wearing pajamas, and using toilet etc. very concise (30 minutes max) or else the child may get overwhelmed with too many tasks before bed. Give an order to the routine so that stimulating activities like video games and television comes first and then other relaxing activities. At first, physically guide the child and use verbal cues to remind them to be consistent with the sleeping schedule. Teach them to cross things off the checklist when an activity like going to the bathroom or brushing before sleep is completed. Motivate the child and provide positive reinforcement when he/she follows the schedule. If there is a change in routine, inform the child in advance so he/she can get mentally prepared. Use Melatonin Supplements: It is a natural hormone that aids in regulating circadian rhythm so the child can get better natural routine sleep which is at night. Many melatonin supplements are available over-the-counter, but you should consult with your physician first. Use Dietary Supplements: Natural supplements like iron, valerian, root, kava and 5-HTP can help induce sleepiness in children with ASD. You can also use multivitamins. These supplements have no dependency risk, and their adverse side effects are also minimal. Clonidine: It is an anti-hypertensive medicine used to treat a broad range of conditions that include ADHD and tic disorders. Both of these conditions are found in children with ASD. Clonidine also helps with sleepiness so it may also be used as a sleep aid. Please keep in mind that the drug has a dependency risk so make sure to always consult with the doctor first. Mirtazapine: It reduces anxiety related to ASD. It has been noted that this drug alleviates symptoms of insomnia in children and adults of up to 24 years of age. However, it also has been linked with suicidal behaviors and thoughts so consulting with your doctor is strongly recommended. Adults are advised to first try cognitive behavioral therapies and supplements like melatonin and other dietary supplements. But if none of them work, then they should consider prescribed medication. For some adults experiencing insomnia due to ASD, Z-drugs, benzodiazepines and other strong prescription sleeping pills may be suitable. But, it is strongly recommended to ask for the advice of a physician first. When it comes to sleep management in people with ASD, children and adults can have different sleeping schedules and therefore, they will have to do different things to ensure better sleep. Below are some tips for both adults and children. Develop a relaxing environment in the bedroom and refrain from activities like watching TV, using mobile, eating and reading in bed. Avoid substances like caffeine, alcohol, nicotine, and sugar as much as possible and take balanced snacks and dinners before bedtime. Avoid more than 30 minutes nap during the daytime. Draw curtains to block outside light and use adjustable lights that can be dimmed. Make sure your bedroom is temperature controlled so you can sleep in a comfortable room temperature. If you have an issue of nightly discomfort, you should replace your mattress. Natural sleep-inducing foods like nuts, dairy products, and leafy greens should be included in nightly means. Children can feel tired at night if they do exercise at daytime. This will also help with sleeping. Relaxation techniques like listening to soft music, meditation, reading, or music can do wonders for children experiencing sleep troubles due to ASD. A major factor that hinders the sleep of children with ASD is the sensory distractions. Test the door hinges and floor for creaking sound, outside light that may come in their room, the temperature of the room and bed size. If your child follows a bedtime schedule, check on them during the early stages of the schedule to make sure they are actually asleep. So these are some of the sleeping tips for people with ASD. Make sure to follow them for a considerable amount of time before deciding if any of them is working or not. The information provided above may help you understand ASD and its relation to sleep problems and how you can tackle it in kids and adults. We strongly recommend that you first go to your physician before using any medicine or supplements.